Introducing IDW's Greatest Hits! One-dollar versions of key issues and launch-points from your favorite IDW books! 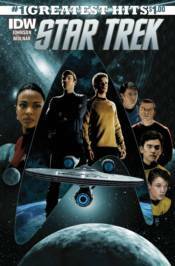 This month, it's Star Trek #1! Picking up where the 2009 film left off, this is the jumping-on point for everything that's come after for the new cast!